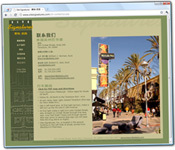 Producing professional, original, highly functional websites for more than a decade. As China's middle-class grows, so does the need for an expansion of a more comfortable, upscale shopping experience, and who better to create this than the wizards at Site Signatures. With an expansion of business into China, and a number of new strategic partnerships, Site Signatures chose to forego the machine translation route and have us produce a custom, professionally translated version of their current website. While it was our first foray into non-western websites, we know it won't be our last. The market for high end homes is weak, but in places like Princeton, NJ there are still enough buyers to make building a large home a worthwhile endeavor. That being said, it helps quite a bit if you can set yourself apart from the pack, and a great website can be a part of that strategy. 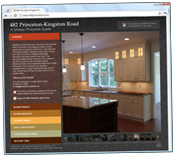 Working with an exceptional client, we just completed a website which showcases the charms of this unique estate, and allows buyers throughout the region, and beyond, to get a taste of what's available in Princeton for a little over $2 million dollars! So happy @elonmusk isn't a super-villain. Posted 439 days ago on Twitter.